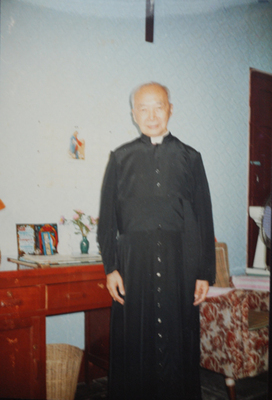 (Bishop) Cardinal Gong Pinmei in Roman Cassock. (Bishop) Cardinal Gong Pinmei in Roman Cassock. U.S.A. Color Photo.